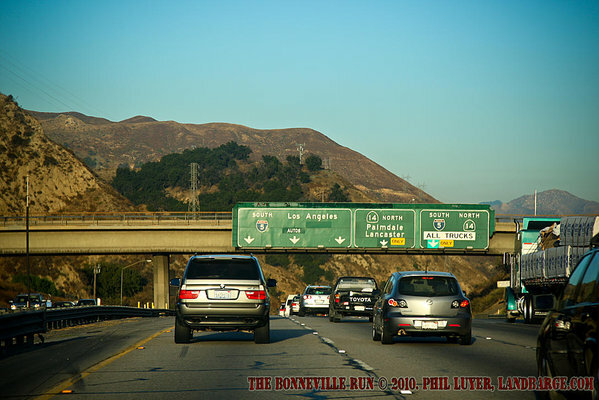 It's now a little over two weeks since we returned from The Bonneville Run, a road trip taking in several states in the USA, during which time we managed to clock up over 5000 miles in my 1970 Cadillac Fleetwood 75. We drove through California, Nevada, Arizona and Utah, seeing plenty of sights and taking plenty of photos along the way. The purpose of this posting is to provide a brief overview of where we went and what we saw, and to hopefully entice you to check out the rest of the stuff I've posted from the trip. 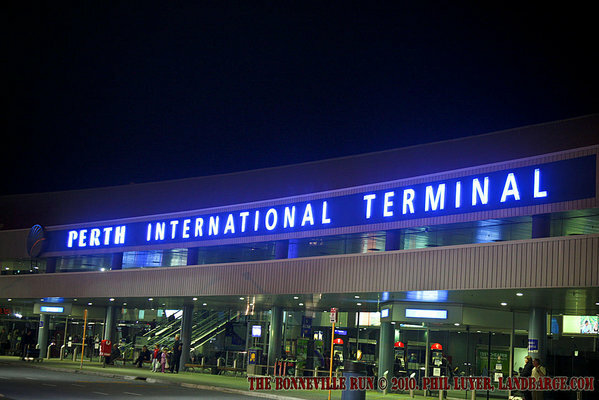 Our flights with Air New Zealand took us to the city of Auckland, New Zealand, on the way to the United States. On the way over, this let us grab a hire car at the airport and explore some of the city. 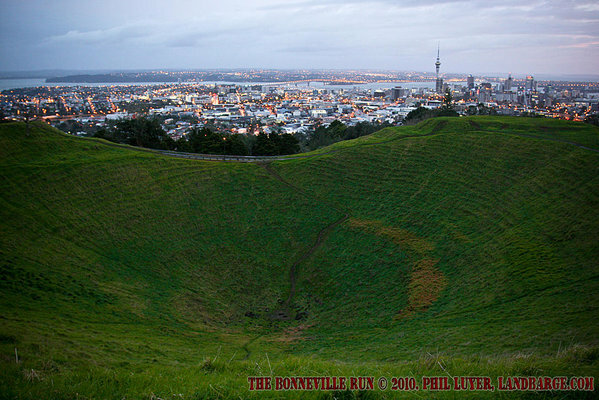 We headed to the top of Mount Eden, a volcanic hill in the middle of Auckland, where I grabbed a couple of shots of the city at dawn, then drove around for a while and found somewhere to have breakfast. We spent the rest of the morning and some of the afternoon at the Auckland War Memorial and Museum before grabbing lunch and heading back to the airport for our flights to San Francisco. At San Francisco, we were picked up by my sister-in-law, Nicole, who would be joining us along with my brother, David, for the first couple of weeks of the road trip. We had a barbecue dinner and a few beers while we discussed some of the plans for the first leg of the trip. The next morning, we picked up the Cadillac from a local workshop who'd been giving it some mechanical attention to make sure it got us where we were planning on going and back again. 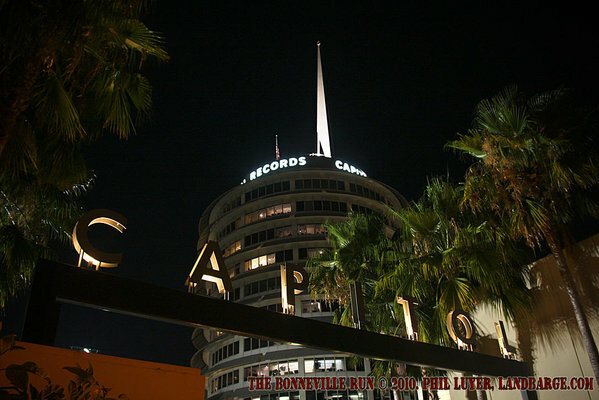 we then hit the Interstate and headed for Los Angeles. Our first stop in Los Angeles was at the Bob's Big Boy diner in Downey, where we met up with some members of the Cranksters Rod and Kustom Club, also from Australia, who were travelling the United States at the same time as us, and with similar intentions. We knew we were going to be in some of the same towns along the way, so we had made plans to stay in touch and catch up when we could. We were in Los Angeles for a few days, so we had time to visit the Petersen and Wally Parks museums and a couple of famous hot rod shops, including Moon Eyes in Santa Fe Springs and Hollywood Hot Rods in Burbank. On the way out of Los Angeles, we also stopped at the John Force Race Station and spent the night at the Wigwam Motel in San Bernardino. This motel is part of a former chain of motels upon which the traffic cone motels in the Pixar movie Cars were based. 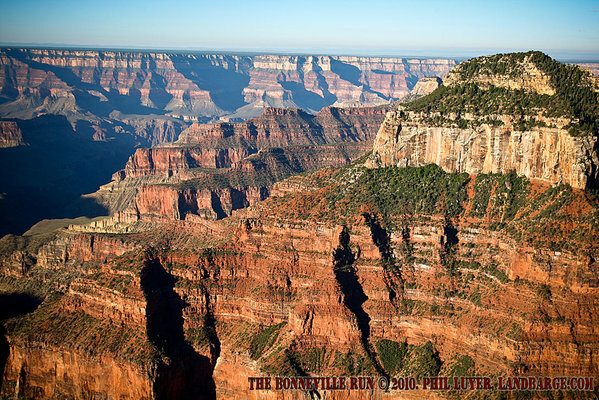 From Los Angeles, we trekked out to Barstow, a route that roughly follows part of Route 66, before diverting from that classic route, as well as the modern route to Las Vegas, to visit Death Valley. Death Valley gets it's name from the extreme heat at the valley floor, with some of the most extreme high temperatures on Earth being experienced here, which combine with the steep hills on either side to make even driving through Death Valley a challenge. 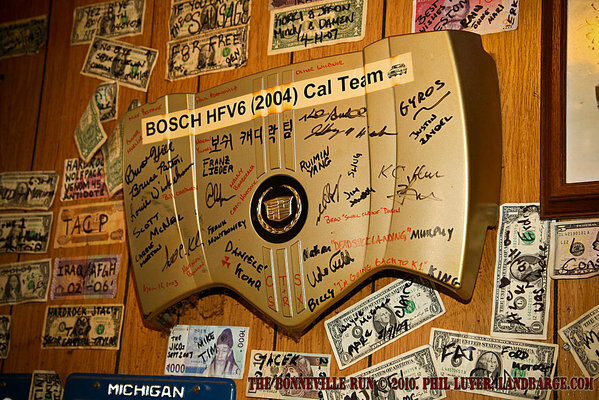 Many auto manufacturers use Death Valley as a testing area for this reason, and we picked a hotel in Beatty for lunch one day due to it's popularity with the test teams and the automotive memorabilia plastered on it's walls as a result. From Death Valley it was on down to Las Vegas, where we would again meet up with the Cranksters for a meal at the Hooters Casino and a visit to the Fremont Street Experience, part of the old Las Vegas that has been turned into a pedestrial mall and fitted with the largest TV screen on the planet. We spent the rest of our nights in Vegas wandering up and down the main strip taking photos of the neon signs on the strip while sampling the many bars on the strip. Las Vegas police tolerate public drinking, even though it's not strictly allowed, as long as people aren't causing trouble. 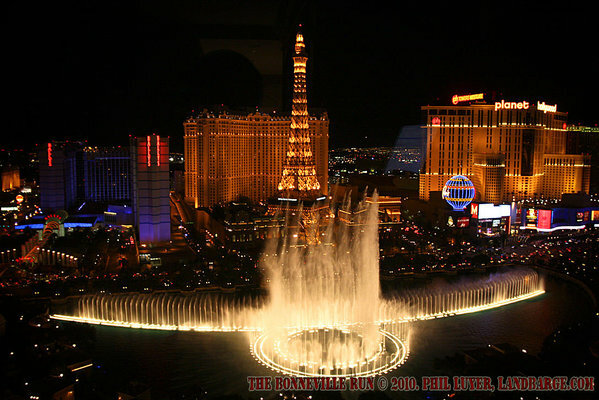 While in Las Vegas, we stayed at the Bellagio Casino and took the opportunity to sample their buffet, which is widely considered one of the best in the world, and the line up to get in was testament to that. Thankfully, David and Nicole had secured us a 'front of the line' pass, which got us onto the back of a line of about 5 people, instead of one that was probably over 50 metres long. After Las Vegas, we spent the night at the Grand Canyon, staying at the North Rim Lodge. Due to getting side tracked by an Eiffel Tower shaped margarita glass and the M&M World store in Las Vegas, we didn't end up getting to the Canyon until well after dark, however I was up the next morning just after sunrise to wander down to the Canyon and see the sights. This was also the spot where, a couple of hours later, I proposed to Kate, and thankfully she said yes. From the Grand Canyon, we headed north to an overnight stop at the small town of Beaver, in Utah, then on to West Wendover in Nevada. West Wendover and Wendover actually straddle the Nevada-Utah border, with two of the casino's in West Wendover having the wall of their gaming rooms right on the border and a carpark in Utah, which is a much less casino-friendly state than Nevada. 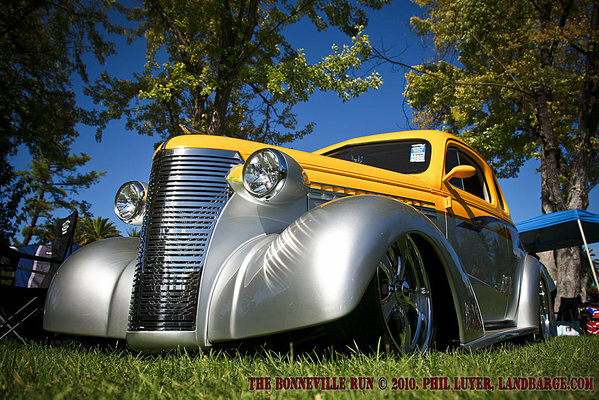 The reason we were in Wendover was for the Southern California Timing Association's annual Bonneville SpeedWeek, one of the biggest gatherings of speed freaks you'll ever see. 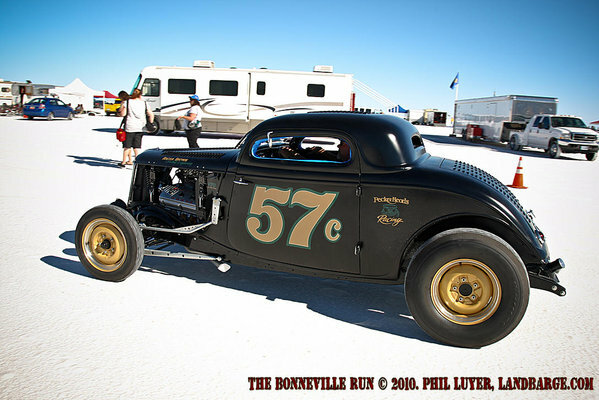 Over 500 cars entered to race at Bonneville this week and the pit area was around 3 miles long. In addition to the 500 entrants and their crews, an enormous number of people turn up every year to watch the racing and to check out the many cool cars in the pits. 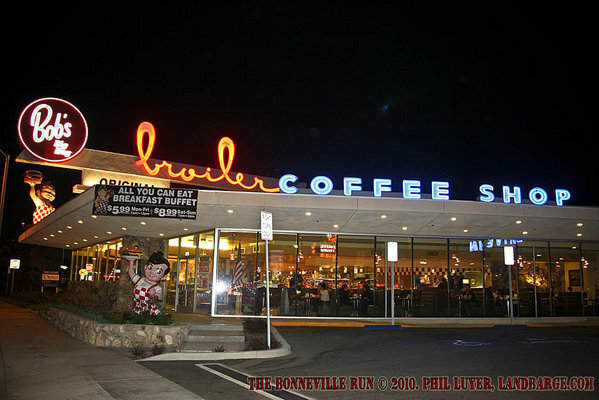 At night, the racers and spectators descend on the town of Wendover, or gather at "The Bend in the Road", an area on the access road where many SpeedWeek attendees choose to camp, instead of staying in one of the overpriced rooms available in town. As Wendover only see the huge numbers of visitors that Salt Racing brings to the town a couple of times a year, the local casino's aren't able to justify expanding to comfortably house all the people who want to stay in Wendover for the week, and consequently the price of a room jumps substantially for that period of time. Our room at the Red Garter would have been less than $50 any other time of the year and looked and smelt every bit a $20 dive. However, being SpeedWeek, the price ended up being US$230 per night, probably about 10 times what I'd normally pay for a very basic room that stank badly of stale cigarette smoke, despite being a non-smoking room. With that said, the accomodation was the only downer on an absolutely awesome couple of days out at the salt, and even though at this point in time I don't know when I'll be back, I can't wait for the next time we drive off the end of that access road onto the salt. 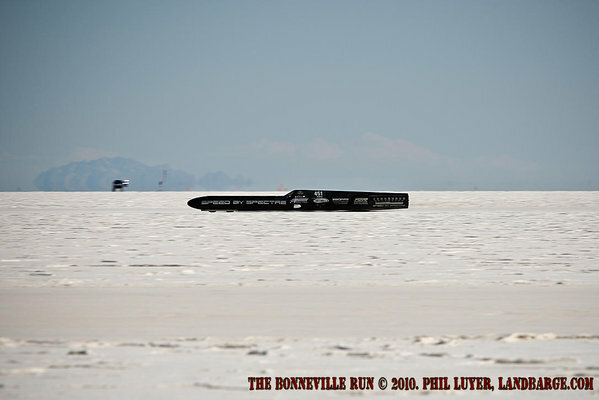 After 4 days at Bonneville, we had to move on in order to get to some of our other planned events on the trip. We still had a race meeting at Bakersfield at the weekend and a car show in Pleasanton the following weekend. We spent the night in a town called Winnemucca, at the Town House motel, probably the lucky find of the trip as far as accommodation goes. The Town House is just a small motel with a handful of rooms and had mixed reviews online. However, this very well priced motel turned out to be one of the nicest places we stayed in, especially for the dollars paid. 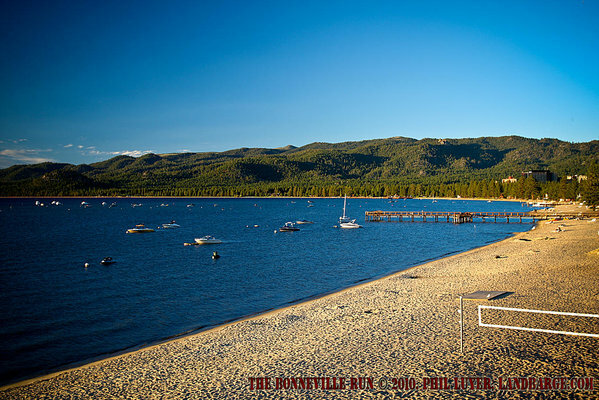 We headed out of Winnemucca, making our way back towards California, and our next overnight stop at the south end of picturesque Lake Tahoe. During winter Tahoe is a ski resort, and the high altitude means that even in summer it's a rather pleasant place to visit with some awesome scenery and roads. 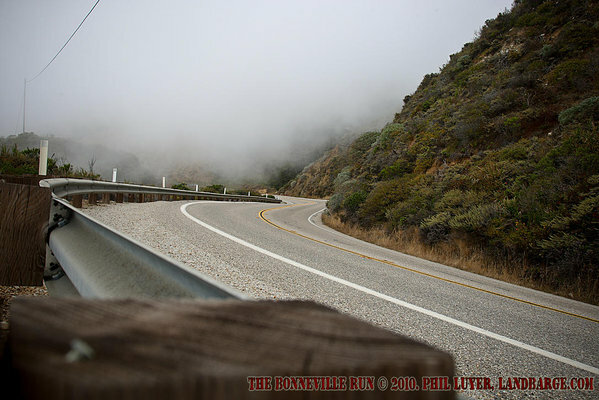 As much as I loved driving some of the roads up until this point, including Mulholland Drive in Los Angeles and the roads out to the Grand Canyon, they were nothing compared to what we were about to experience. The road from South Lake Tahoe to Yosemite National Park, via State Route 4, includes a section of road known as Ebbett's Pass, which has some of the best scenery combined with some nice winding roads, tight hairpins on narrow roads and some fairly steep climbing, with the road peaking at almost 9000 feet above sea level. We paused at around 8400 feet above sea level to take a few photos of one of the pristine lakes along the pass. Lunch here was at Giant Burger in the town of Arnold, where the burgers may not have been as big as some we've eaten, but the taste certainly made up for any inaccuracies in the name. After we got back on the road, we continued down to the historic Wawona hotel, in the heart of Yosemite National Park, where we had rooms booked for the night. 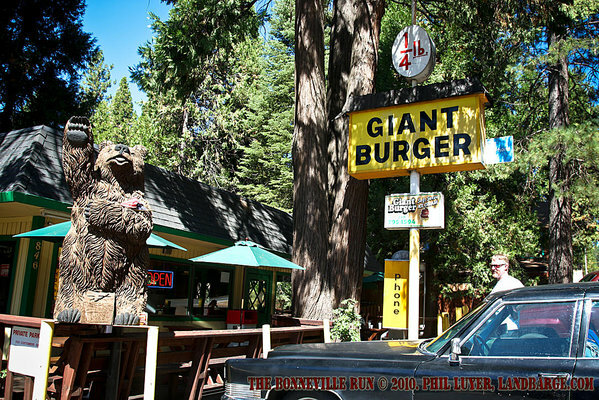 We made a stop off at the Mariposa Grove of Giant Sequoia in the morning and then pointed the big Cadillac towards Bakersfield and hit the highway. 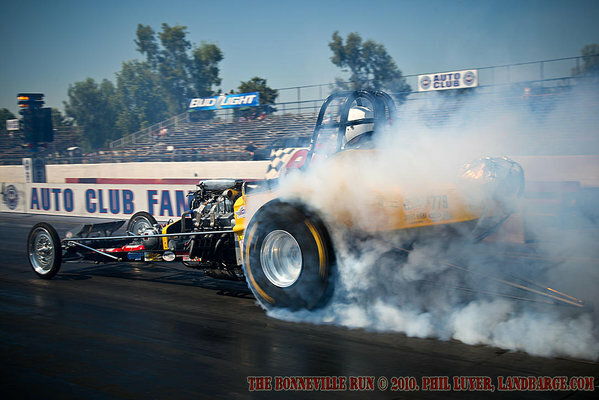 We arrived in Bakersfield in the early evening and spent the weekend at the local dragstrip for the American Nostalgia Racing Association's Summer Nationals. This was about where we had stopped planning accomodation for the trip, as the next event we'd planned to attend was the GoodGuys 24th annual West Coast Nationals, in Pleasanton, near San Francisco. We decided over the course of the weekend to head back to Los Angeles for one more night and then take the Pacific Coastal Highway back to San Jose, with an overnight stop at San Simeon. 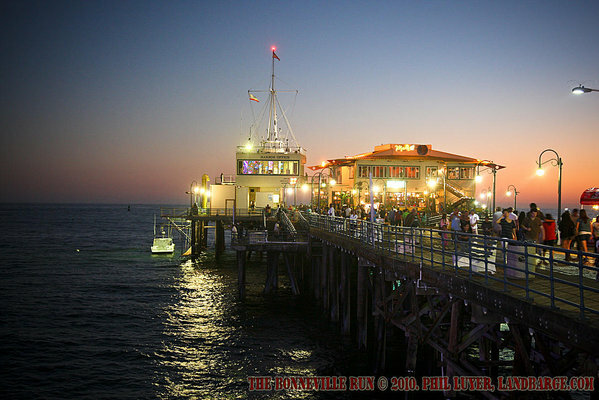 This extension to the road trip meant we could go to Santa Monica Pier and Venice Beach in Los Angeles, which we had run out of time to do the first time around, and we got to check out some of the most amazing coastal roads around. Leaving San Simeon on the Wednesday morning, we checked out the local Elephant Seal population, lazing on the beach, and then spent the whole day driving through some of the most intense fog you'll ever see. The fog would mostly roll up the side of the hills from the coast, pop up over the road and then continue rolling further up the hills that line the highway, an amazing sight to see and something that I had to try to capture with the camera. After dinner at MargaritaVille near Santa Cruz, we left the Pacific Coastal Highway and headed back to San Jose, where we would be based for the rest of our time in the United States. The remaining 10 days or so was spent exploring Northern California's Bay Area, heading out to Pleasanton for the West Coast Nationals and to Sacramento to visit the California State Capitol Building, as well as SoCal Custom's and Sacramento Vintage Ford. The Pleasanton West Coast Nationals are run by the GoodGuys Rod and Custom Association, and this was the 24th running of the event. Over 3000 hot rods and customs took over the Alameda County Fairgrounds to put on one of the most impressive shows I've been to. I reckon you could spend a week here checking out the cars and still not see everything, however we only had two days. 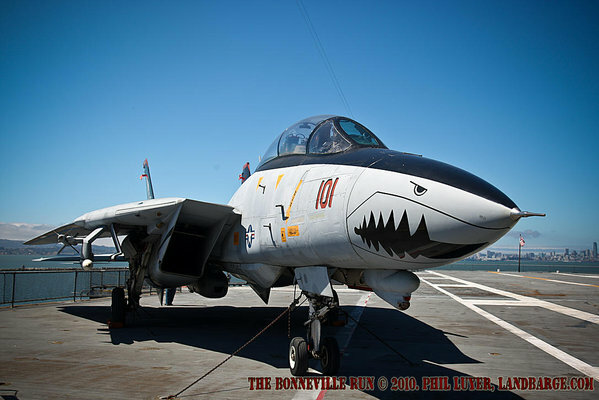 During this trip we visited a couple of sites of American military historical significance, the first of these being the now retired aircraft carrier USS Hornet, now on permanent display at Alameda Point and open to the public as a floating museum, carrying a variety of aircraft from throughout her lifetime. 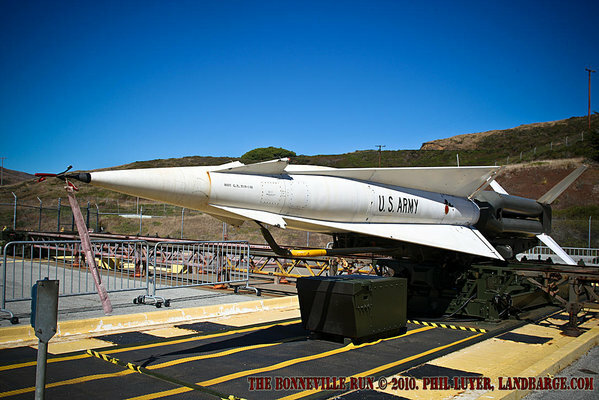 We also visited a former missile launching site in the Marin Headlands, Nike site SF-88L, which has been restored to provide an example of a site in operational condition, complete with fully functioning missile lift and launch area, although the missiles themselves are no longer operational. The site is under the care of the National Parks Service, as a part of the Golden Gate National Recreation Area and is open to the public from Wednesday through Friday. 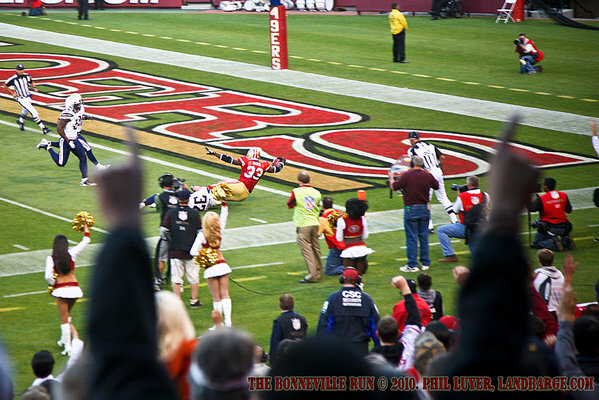 While in Los Angeles, we had taken the opportunity to experience Major League Baseball with a Dodgers home game and now that we were in San Francisco, we had booked tickets to see the San Francisco 49ers play at Candlestick Park. I had grown up following the 49ers through the years of Joe Montana, Jerry Rice and Steve Young and was looking forward to seeing my favourite NFL team playing live at their home ground. A great night out was topped off by a 49er's win and a visit to In'n'Out for burgers on the way home. Our last night in San Jose saw us head to the local drive in with David and Nicole, followed by a day of hectic packing and last minute shopping before a dash to San Francisco International airport, where we made the line for check in with only minutes to spare. 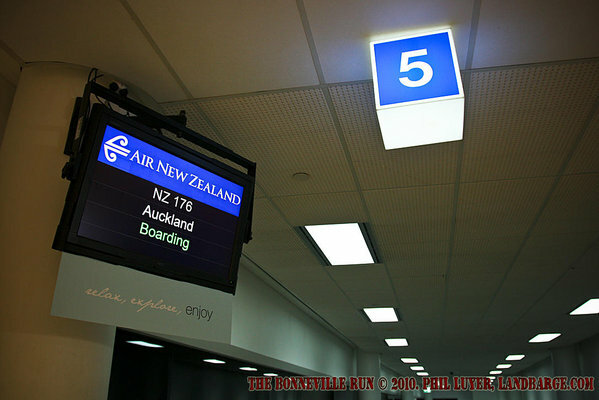 Once again with a long stopover in Auckland, this time we stayed inside the terminal, making the most of the available shower facilities and having a refreshing breakfast before finding a cosy set of seats to stretch out on for a rest before the flight back to Perth, arriving home just after 7pm on September the 6th, which also happens to be my birthday. We're now getting used to being back at work and wondering when we will next be able to head off on another trip like this one. This trip was totally self funded, and a heap of fun, however it was also a huge strain on the hip pocket, and only possible due to a heap of help from David and Nicole, who put up with having a 21 foot long Cadillac parked in their driveway from April 2009 until now, which we've used for a grand total of eight and a half weeks since then. 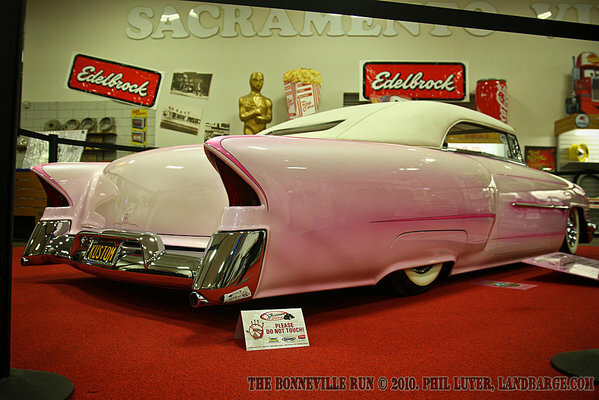 By the time we go again, Kate and I will have had our first child, and the Cadillac will be probably back in Australia. I'm currently looking into shipping options for the Cadillac, and am very close to starting the process of importing it to Australia, meaning that if we're going to attempt another trip like this next year, we'll have to not only do it before we set those plans in motion, we'll also need to find a new home for the Cadillac and a workshop who are willing to work on it as well. However, it's pretty safe to say that unless we picked up a fairly decent amount of sponsorship for a future trip, we'll be bringing the Cadillac to Australia and will leave the repeat performance for several years.